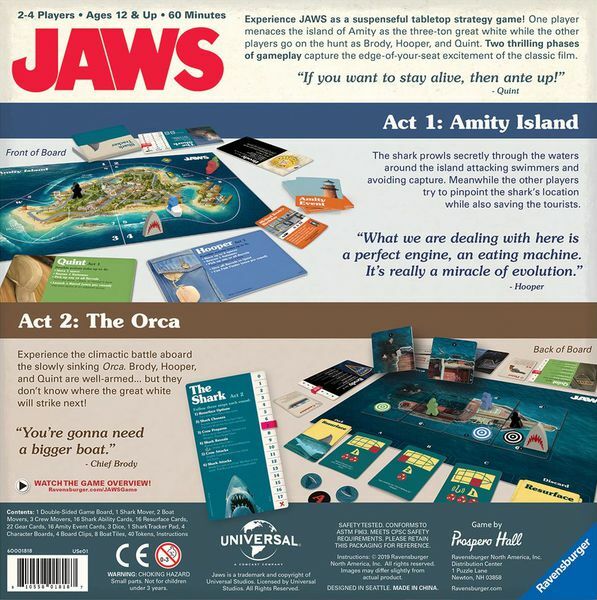 "You're gonna need a bigger boat"
I'm sorry I couldn't help myself, but as a HUGE fan of the "Jaws" film I'm seriously excited to see that a board game is being released based on the feature. 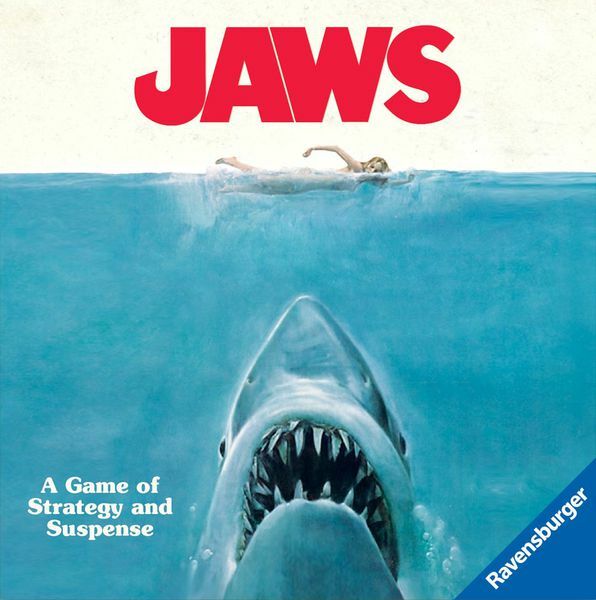 In Jaws, one player takes on the role of the killer shark off Amity Island, while the other 1-3 players take on the roles of Brody, Hooper and Quint to hunt the shark. 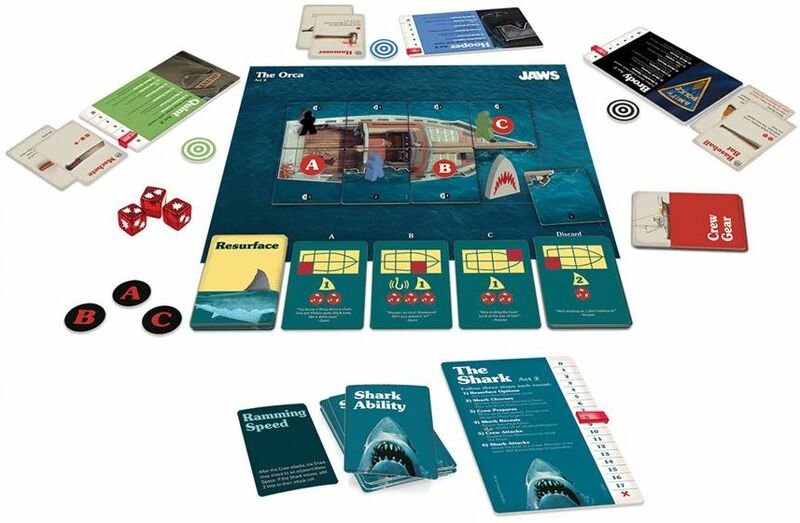 Character and event cards define player abilities and create game actions for humans and the shark. In the Amity Island phase, the shark menaces swimmers and avoids capture. Other players attempt to pinpoint the shark's location and save swimmers from shark attacks. In the Orca phase, played on the reverse side of the game board, Brody, Hooper and Quint are aboard the sinking ship engaging in a climactic battle against the shark, while using additional action and strategy cards to defend the Orca from targeted shark attacks. If humans kill the shark, they win; if the shark attack on the Orca succeeds, the great white shark wins. I'm really, really looking hoping this gets a UK release, the game will be released by Ravensburger in June of this year and is initially priced at $30. So what do you think? Is this something you'd be interested in? Let me know in the comments below. Horror Podcasts: Where To Start?